I roamed my local neighbourhood for flower-laden trees and carefully cut twigs with multiple blossoms; unlike my past experience with jacarandas, it was much easier to find low-hanging branches! 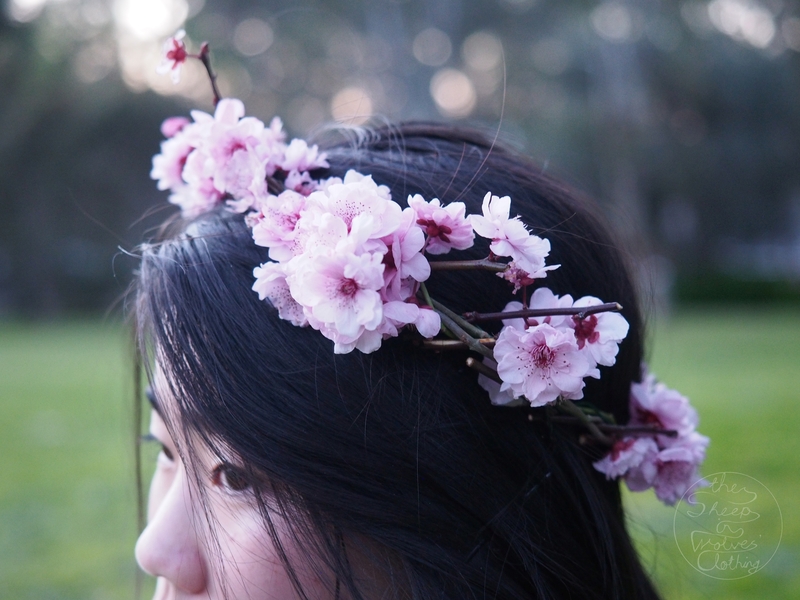 Again, I made a green vine circlet as a base, and then wove my blossom twigs into it, securing with florist wire as needed. 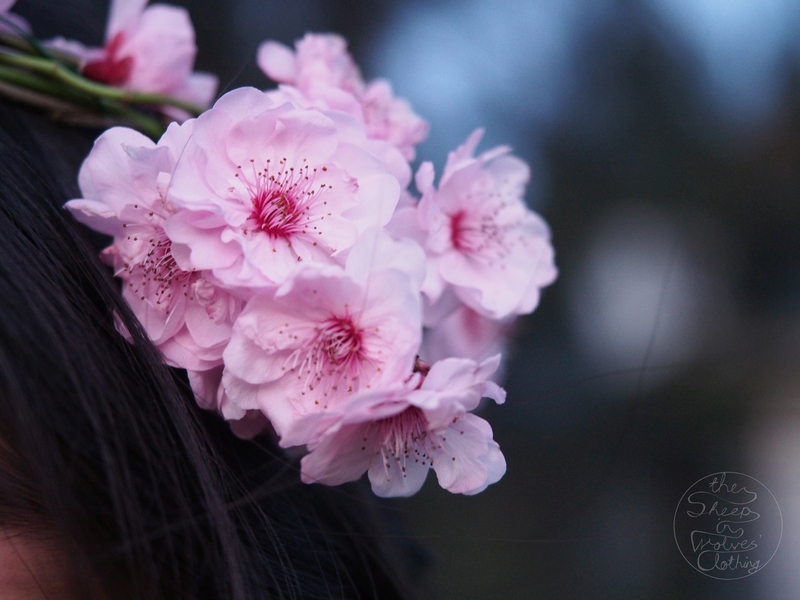 Blossoms are quite difficult to work with, as their fragile petals (or even the whole bloom) falls off with even the slightest pressure. 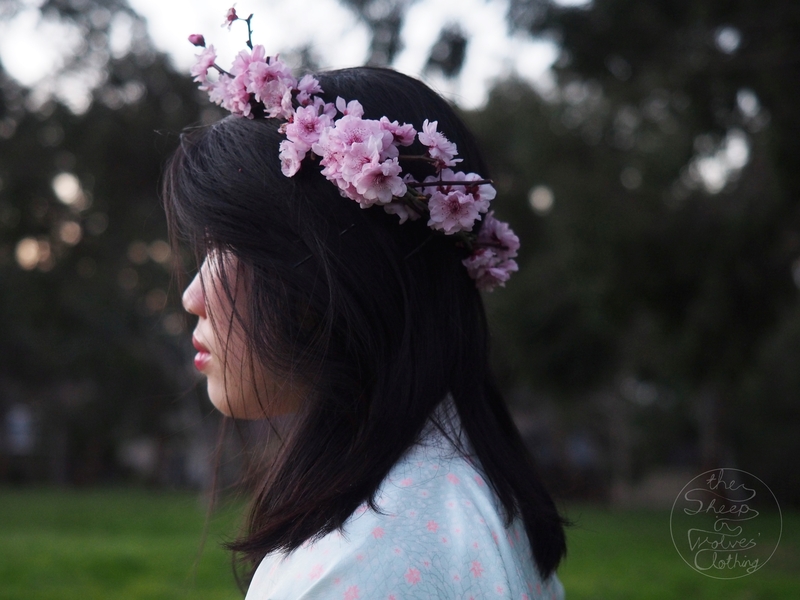 In keeping with a sakura flowercrown, I styled it with a kimono (a yukata that my sister-in-law received as a gift and subsequently shortened to jacket-length to make it more versatile for everyday wear) and a pair of high-waisted lace shorts. I wanted to go for a more modern, relaxed Japanese-inspired look rather than completely traditional Japanese dress. 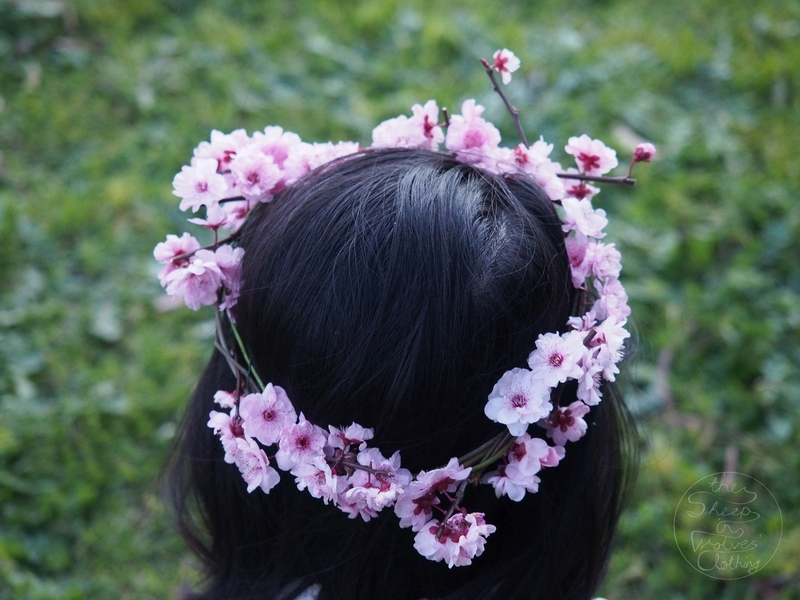 Anyway, I was really in love with my blossom crown, but was a bit sad to not have any special events to wear it to. So I decided “Why not wear it to uni on Monday?” At first I was hindered by the idea of everyone judging me and thinking “Omg, why is she drawing attention to herself by wearing a flowercrown to uni?” but then I decided, “You know what, I enjoyed making this, people know I make a lot of these, and wearing this will make me happy.”And upon arriving for my 8am tute, everyone I ran into was super nice about it and smiled at the sight of fresh flowers.